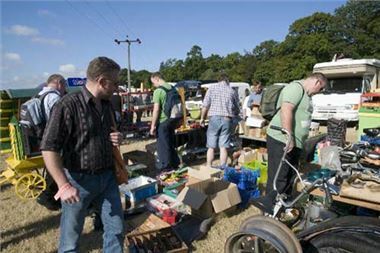 With three weeks to go before this year’s International Autojumble, taking place on the 11th and 12th September, the event is a sell out with all stand space now taken. Beaulieu Events Manager, Judith Maddox said: "This is the earliest we have ever sold out of stand space which is great news for the 35,000 plus, classic vehicles enthusiasts who will be flocking to the event.” With over 2,000 trade stands to choose from there is something for everyone and lots of bargains to be had. There is still space in the Automart for private individuals to sell their vehicle or they can take advantage of ‘Trunk Traders’ on the Sunday to clear out their garages and stores and sell those unwanted second-hand motoring bits from the boot of their car. On Saturday, bidding will be brisk in the Bonhams sale of collectors’ cars, motorcycles and Automobilia. Vehicles for sale range from a Ford Model T restoration project going for £2,000-£3,000 to a 1922 40/50hp Silver Ghost Tourer, originally the property of Mrs Maud Gordon Bennett, with an asking price of £120,000-£150,000. In show sponsors, Classics Monthly’s Restoration Village, a group of experts will be busy with hammers, spanners and welding gear, giving live demonstrations of restoration skills including sandblasting, soda blasting and re-chroming. They will also be on hand to answer all your restoration questions and offer technical tips. Take time to admire the magazine’s readers’ classic cars, also on display. The Autojumble is open from 10am – 5pm on Saturday and 9.30am – 4.30pm Sunday. Ticket prices are 1-day adult, £13.30 (Sat), £11.70 (Sun), child £7.70 (Sat), £7.40 (Sun), even less for a two day ticket or when booked in advance. Visitors to the event will be able to enjoy all the Beaulieu attractions including the National Motor Museum and World of Top Gear, Palace House and gardens.